Do you want to get more funds from your fundraising events? You aren’t alone in wanting to maximize your event’s profitability. Most organizations feel they are falling below the monetary goals they set, but can’t figure out how to boost their fundraisers’ revenue stream. Put the days of underperforming events behind you. The help your organization needs is here! This 4-unit bundle Better Fundraising takes you step-by-step through the process of creating maximum profitability with your auction, sponsorships, and tribute books. These four units harness the knowledge of a 20-year event planning veteran, and focus on important strategies, resources, and tools you’ll need to succeed reaching those high monetary goals your organization has been hoping for. 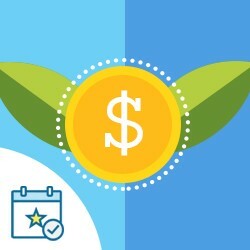 This is, by far, the most comprehensive resource available to nonprofit organizations struggling with maximizing event monetization. If your organization wants to raise more money through its’ fundraising events, this new CharityHowTo On-Demand course is for you! These 4 units provide strategies for managing profitable silent auctions, creating successful sponsorship packages, and producing tribute books that do far more than just raise ad revenue. Your presenter, A.J. Steinberg, understands the pain organizations go through when trying to create special events. After twenty years of producing successful fundraisers, she teaches simple systems that allow small-shop nonprofits to create professional-quality events that will shoot revenues sky-high and create meaningful guest experiences.